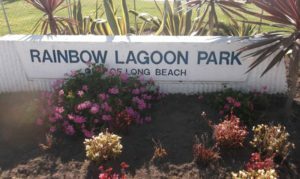 *Long Beach – Rainbow Promotions, LLC. 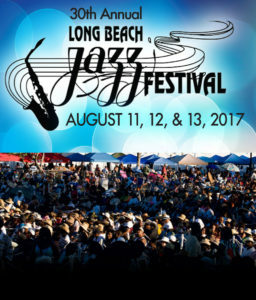 Celebrated three memorable decades of jazz, Latin Jazz, Smooth Jazz, fusion, funk, R&B, and Soul with 20,000 music aficionados, Friday, August 11-Sunday, August 13, 2017. This highly anticipated event was held at the Rainbow Lagoon, a gorgeous, well maintain, manicured grassy knoll. This venue offered the ultimate ambiance for a jazz festival. 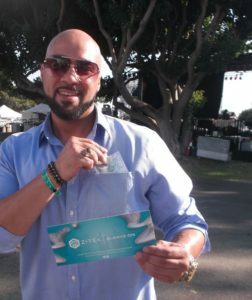 The Long Beach Jazz Festival featured some of the music industries top notched artists, performing in front of a huge receptive audience. The festival also included a vast array of food, art, and much more. 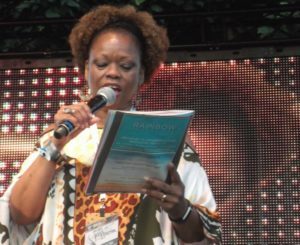 The festival kicked off with a welcome from Mistress of Ceremony Pat Prescott, Radio Personality, 94.7 The Wave. 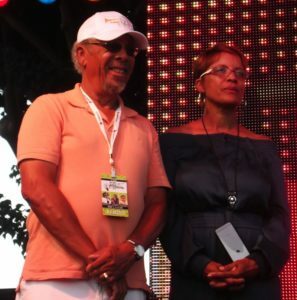 The 30th Annual Long Beach Jazz Festival started promptly at 6:00PM. The hustle and bustle of the hectic work week has subsided, now it is time for some real fun. The festival got into gear with a dance inducing performance by the group called Jazz Funk Soul with Jeff Lorber-keyboards/piano, Everette Harp-saxophones, and Paul Jackson Jr., on guitar. Rounding out the group was Ron Jenkins on bass and Gordon Campbell on drums. All of these musicians are leaders in their own right, and have collaborated with a who’s who in the music industry. Their set featured tunes from each others catalog as well as some new materials. They opened with “Speed of Light,” and never slowed down throughout their set that also featured the tunes “Hacienda,” “Connections,” “Serious Business,” “Going Through Changes” a tune written by George Duke and Everette Harp. This tune resonated with the crowd as we can relate in our own way. Their set continued with “You’ll Known, When You Know,” and concluded with “Monday Speaks.” The group paused in remembrance of Chuck Loeb and former member of the band who transitioned several weeks ago, and to remember George Duke, who Everette Harp collaborated and performed with before. Al Williams, founder of the Long Beach Jazz Festival along with his daughter Kimberly Benoit-President of Rainbow Promotions LLC. Came onstage to welcome the crowd and thank them for their continued support as the festival celebrates another milestone. Rev. 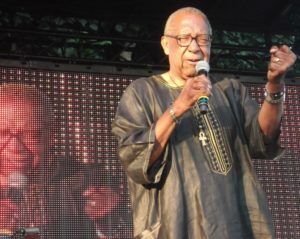 Leon Wood, Pastor of St. Marks Baptist Church in Long Beach officially got the festival grounded and onto a great start with a powerful Opening Prayer, with the crowd responding Amen! In unison. 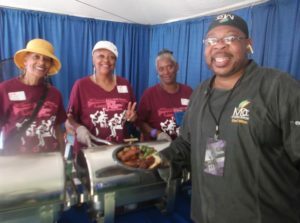 The Hospitality Area was hosted by MDC Concierge-Chef Milton Guinses, Million Dollar Connections. Their motto is “Million Dollar Service at Quality Prices You can Afford.” The artists, volunteers and media were well taken care of this weekend in the Hospitality Area backstage. Each evening Chef Milton Guinses delighted our taste buds with a special meal. Friday evening treats were Fried Catfish, Red Snapper and Garlic Fries. Saturday’s awesome meal was Buffalo honey mustard chicken wings, jerk BBQ wings, turkey spinach meatballs with cheese and marinara sauce with rice. Are we getting hungry yet? Sunday’s grand finale was Slow smoked BBQ Chicken, BBQ rib tips, fried cabbage and baked beans. You can find Chef Milton Guinses on all Social Media platforms. Are you can reach him directly if you need a great chef to cater your next special event. (323)-375-6812. It only got better and better as the evening progressed. Rachelle Ferrell is an amazing vocalist with an incredible range. She showcased her powerful vocal range during her time in the spotlight, performing some of her classic hits from the past and some recent tunes while playing a beautiful Steinway and Sons piano and a Yamaha Motif ES8 Keyboard. She was aided superbly by Damian Farmer on bass, Eric Brown on drums and Billy Odom on guitar. Rachelle Ferrell set list were “I Can’t Explain,” “I forgive You,” and “Run to Me” just to name a few. The momentum continued to build up on day two with additional crowd pleasing performances. Jazz in Pink is an extremely talented group of all female musicians. This all star ensemble projects talents, beauty, power and femininity as they embrace the stage. The beautiful ladies of the band are Gail Denise Jhonson-keyboards/piano, Lynn Fiddmont-vocals/percussions, Zuri Appleby-bass, Tomoka Nomura-Jarvis-sax/flute, Dee Simone drums and Darlene Moreno-guitar.. They took the crowd and I on a joyous musical journey with the tunes “Uptown Philly,” “Kat Girl,” “Do Something Else,” “Our Love,” “Free,” “Herbie Hancock Medley,” and a rousing version of “Knee Deep Nation.” The band received a long, thunderous standing ovation at the end of their set. Will Downey Balladeer/Crooner wowed the crowd on the tunes I Can’t Help Myself,” “Million Ways to Love a Women,” “You Know How to Hold Me,” “You Got the Best of My Love,” and “Love Roller Coaster.” do you get the feeling that love was in the air as Will Downing work his way into and melted the hearts of the women. The evening closed with an excellent set by Boney James. Jazz patrons who ventured out to the marketplace, wasn’t too far from the music. The 2nd stage had additional entertainment. I visited the Jazz, Health & Wellness Pavilion which nourished the mind, body and soul with inspirational words of wisdom by wellness experts and other speakers from treatment centers. 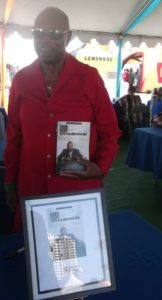 Attendees walked away with useful information to help them grow a little more in mind, body and spirit. 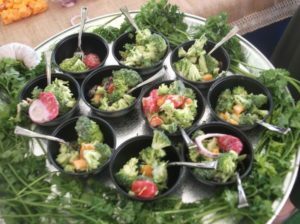 People were treated to healthy food samplings by Celebrity Chef Ewanda as she prepared a quick, nutritious broccoli salad. 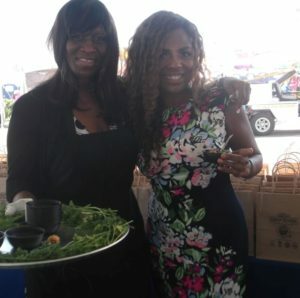 This demonstration was followed by a panel discussion entitled Your Food is Your Medicine with Arisa Molineaux as moderator. 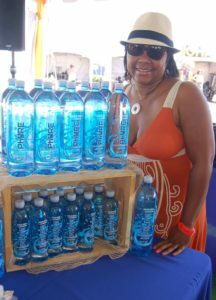 The panel consisted of Jamie Relei Ferguson (Food Guide and Founder of Be Well Bites), Subriana Pierce (Business Leader, distributor of PhURE Water-electrolyte enhanced premium, cleans, safe, PH9.5 alkaline water), Celebrity Chef Ewanda (Ladies Touch Catering-a full service company offering catering, event planning, private chef services and drop-off meals in Los Angeles and surrounding cities) and Dr. Safa Maiwand (Renowned Dentist). They discussed ways for people to eat healthy, the easy access of fresh fruits and vegetables-Farmers markets, Whole Foods, Sprouts etc. and foods to afford to maintain and healthy body and teeth. Additional Health and Wellness panels were Eat.Love.Pray (A New Way to Stay Healthy with Dr. Joseph Bryant, Jr., Pren’tis Knight and Charles Wright. 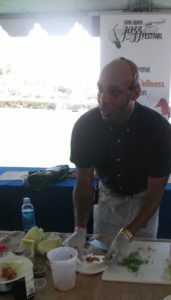 Events on Sunday, Celebrity Chef Das prepared a quick, easy, refreshing Summer dish (shrimp lettuce wrap) these recipes can be found in his latest cookbook entitled Now Look Who’s Cooking-Culinary Lifestyle Guide). Chef Das was task with preparing a cuisine for former First Lady Michelle Obama luncheon. Chef Das also was a former personal chef for entertainment mogul Sean “Diddy” Combs. The afternoon featured another panel Secrets to Living Well was well attended. 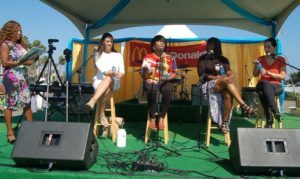 On the panel were Charlie Jordon Brookins, Pren’tis Knight and musician/author Charles Wright. Pren’tis Knight-Founder and Creator of ZTEK, an innovative Personal Care line of Skin and surface Products infused with pure silver. The vendors participating in the Jazz, Health & Wellness Pavilion were American Heart Association, City of Hope, Habitat for Humanity of Greater Los Angeles, Let Us, Inc., Meeting Seniors Needs Hotline, Inc., Phure Water Cooking Demo, Susan G. Komen, USC School of Pharmacy, Z-Tek Life, New Image Dental, Nature’s Bridge Holistic. Lifeline Training. Bob James followed in a similar vein, with his tight band. Bob James dazzled as his fingers danced across the 88’s on piano and keyboards. He thrilled the crowd with “Nordis,” and sparked the crowd with “Westchester Lady” to name a few. Bob James Band were Bob James-piano/keyboards, Perry Hugh-guitar, Michael Palizotto-bass and Billy Kilson on drums. Conguero Poncho Sanchez returned once again to close out the festival. This is a great testament to his musicianship and popularity with the crowd, who know that he will always put on an outstanding show. The people grooved as the music moved them that had the crowd dancing, salsa, cha cha, cha and whatever dance moves that pleases them.